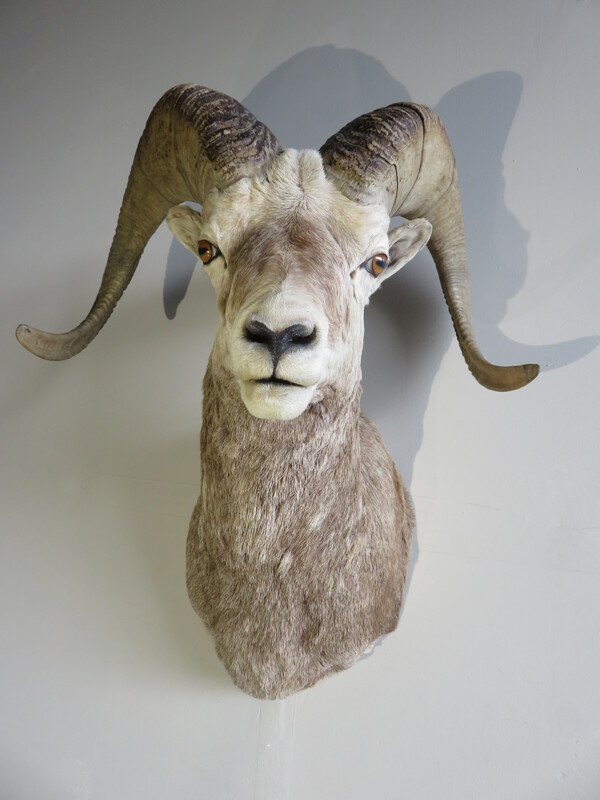 This Big Horn ram has a great pose with terrific hair thickness and coloring. 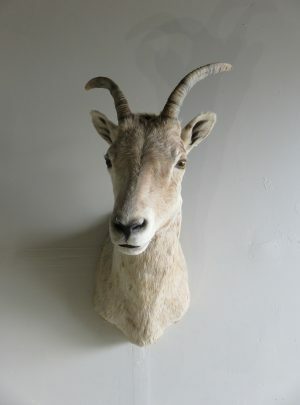 A superb shoulder mount of a very nice western male sheep. 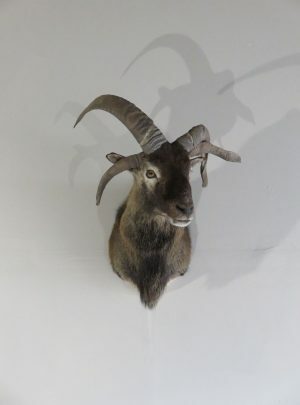 The taxidermy work is excellent and features a ram with large horns. 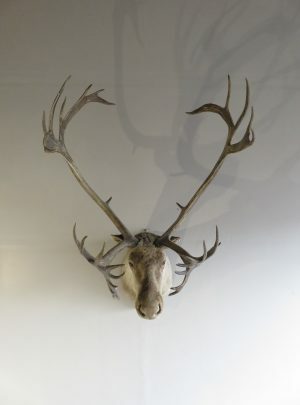 They each measure 32 3/8″ in length and have bases of 14 3/8″. 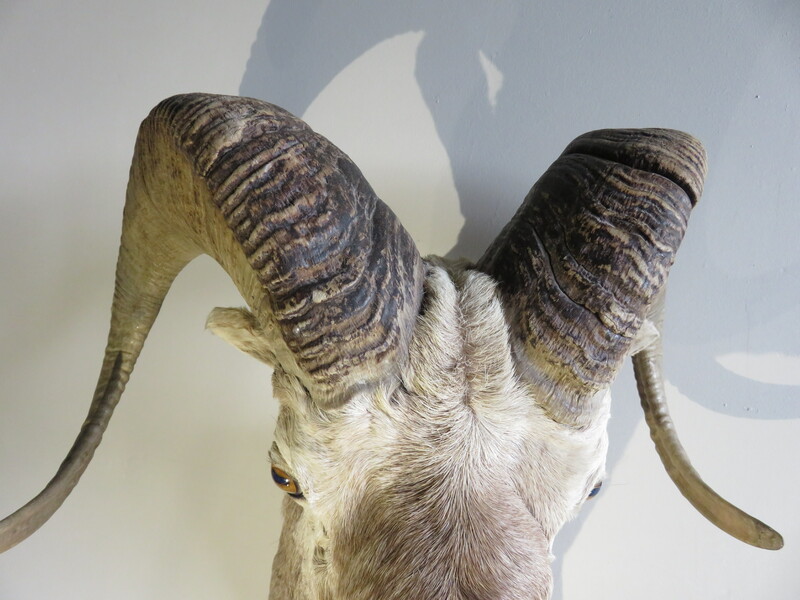 A very symmetrical set of horns that have a rough score for SCI (Safari Club International) of 73 6/8″. 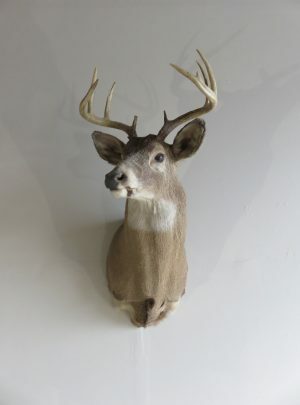 The outside or tip-to-tip measurement is 23 6/8″. 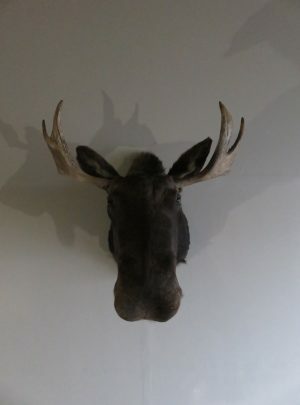 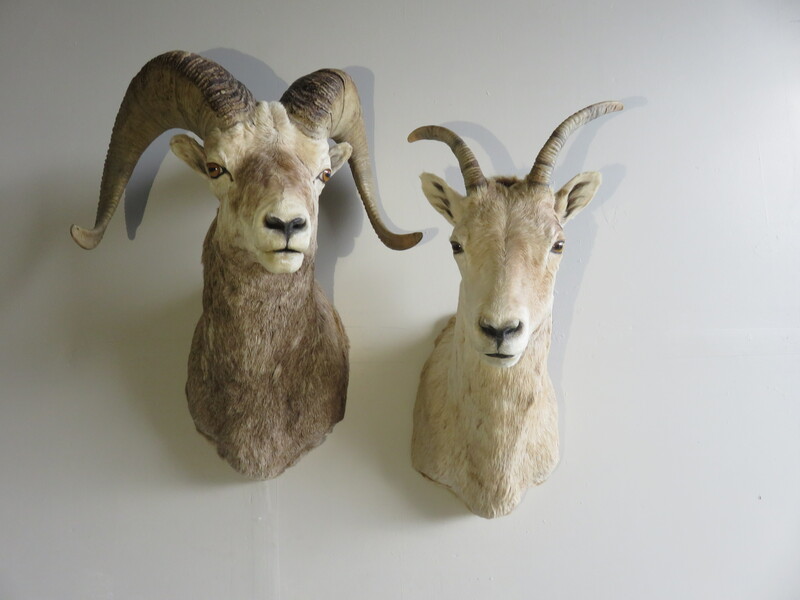 Big Horns are one of the most sought after and yet hardest to acquire of all North American big game species. 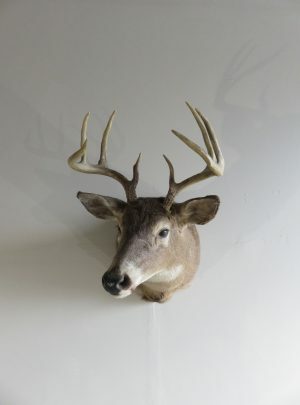 This is primarily due to the relative difficulty in getting a permit for one of these elusive species. 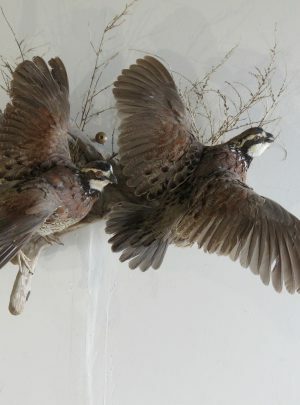 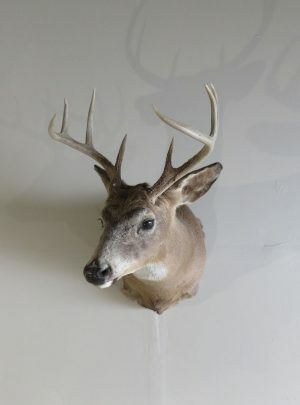 This makes owning a trophy mount very challenging. 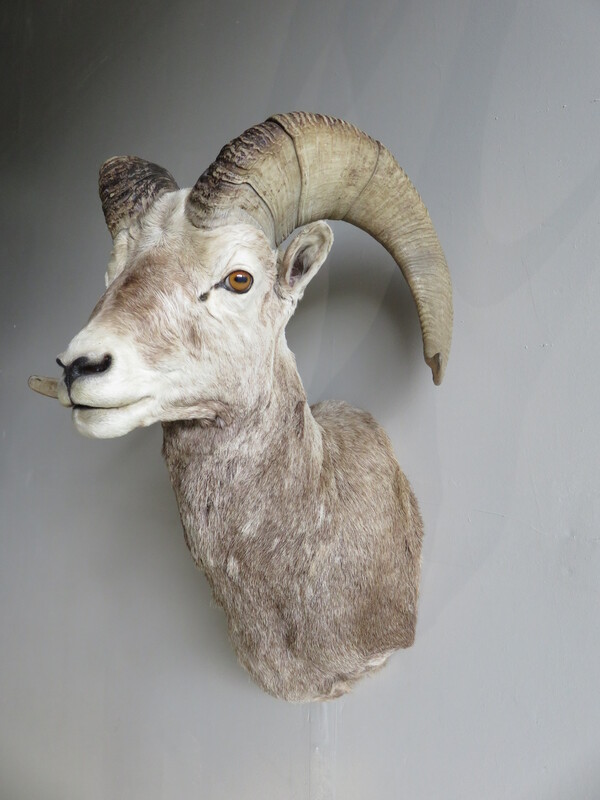 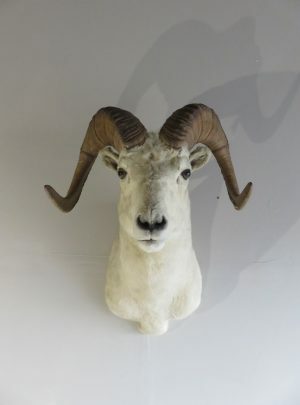 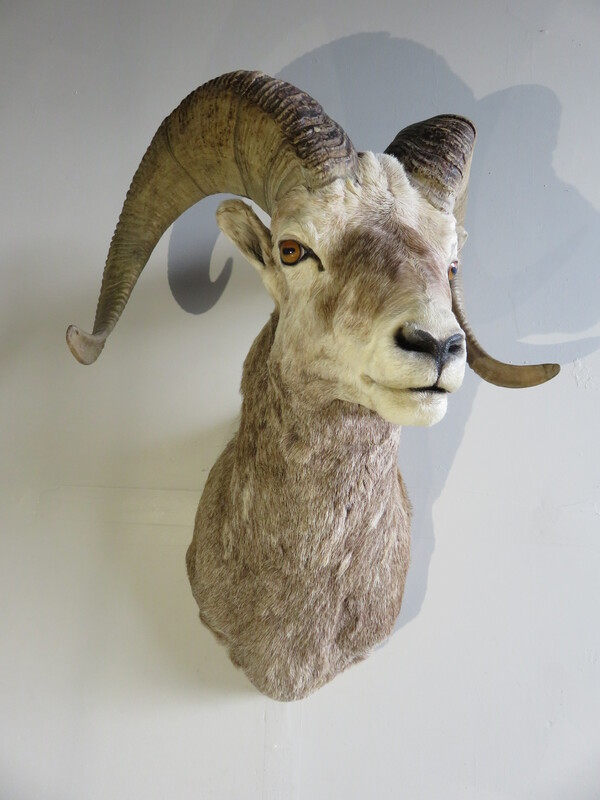 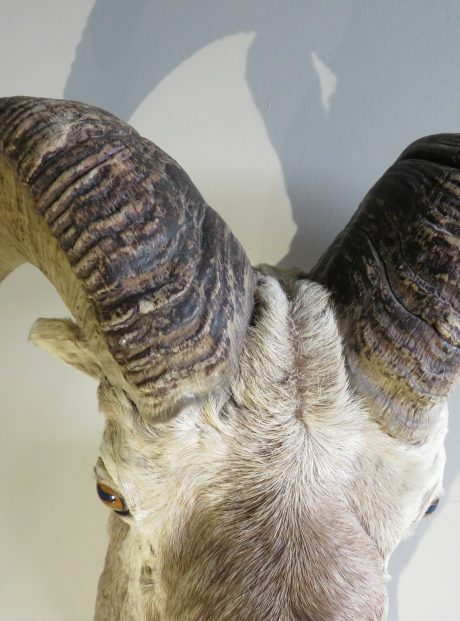 A Big Horn ram can make a center piece to a collection of North Americas big game species. 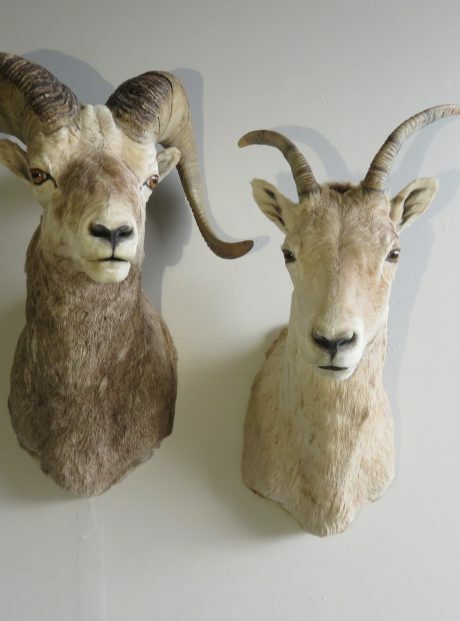 They look great and can compliment the home or business. 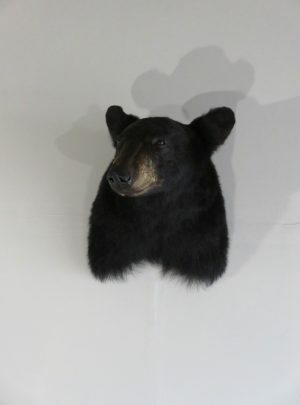 Overall mount dimensions are 20″ Deep x 32″ High x 25″ Wide. 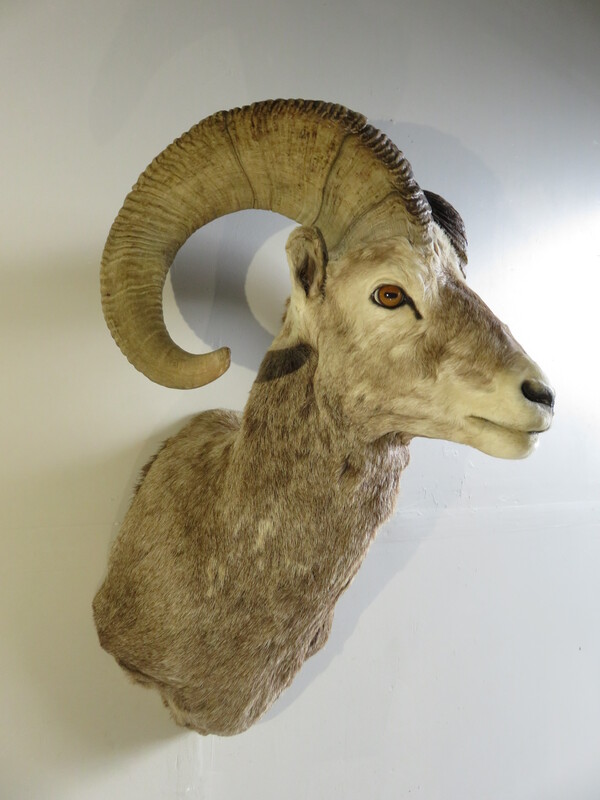 We were also able to add a couple ewes to our collection with this nice ram and one of these (O-117S) would compliment the ram for a terrific combination appearance. This ram has a head up, facing left pose that matches nicely to the ewe in the attached photos.